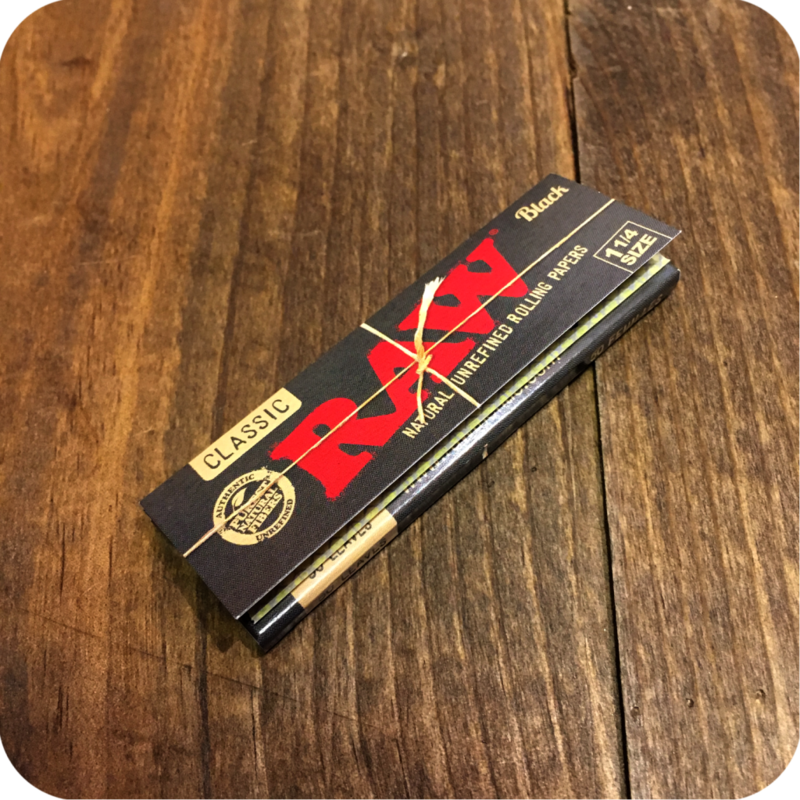 The RAW Black 1 1/4 papers are the latest addition to the RAW family. 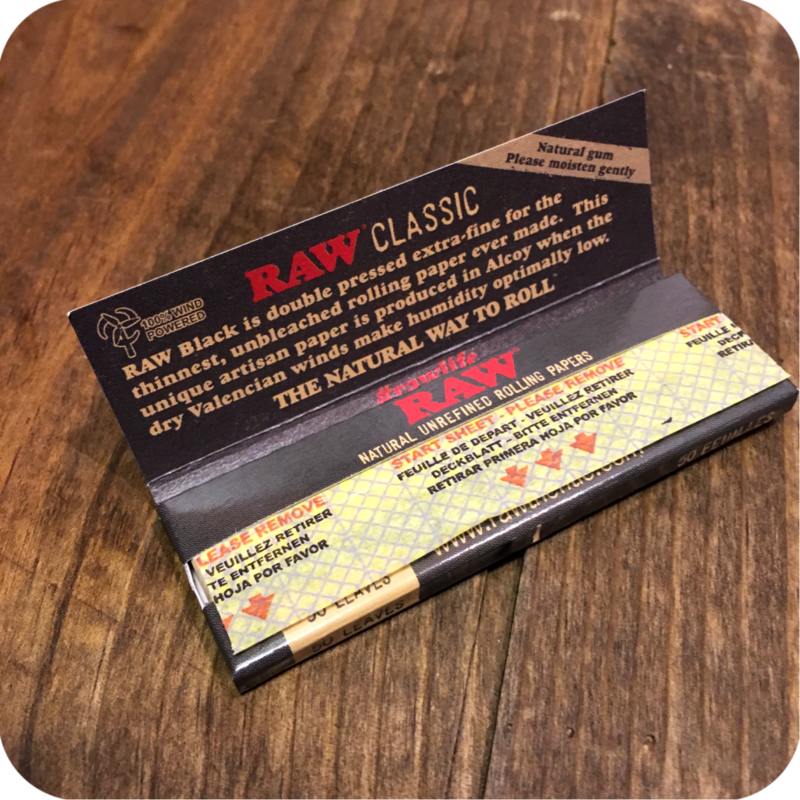 RAW Black 1 1/4 papers have all the familiar qualities of RAW’s original papers, but these are double pressed and extra fine to make the thinnest RAW paper to date. These artisan papers are produced in Alcoy, Spain, were the dry Valencian winds make humidity optimally low. A thinner paper means you taste the product much more than the paper. 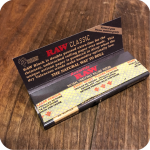 With the paper not being as thick and heavy, you in turn start to enjoy the natural taste of your legal herb over the paper. Most people would agree this is a major benefit. The trade-off is, these thin papers are much harder to roll than your average paper. The feel more flimsy in your fingers as you roll. That is why these papers are made for the master rollers! Grab a pack of these and see if you have what it takes! These Raw Black 1 1/4 Papers pair quite nicely with some I-Tal Hempwick. Hempwick is an all natural alternative to directly lighting up with a butane lighter. Inhaling directly from a butane lighter means you are taking in many nasty and harmful toxins. Hempwick is a classy way to avoid those toxins. You will notice an immediate improvement in the taste, and your lungs will thank you for sparing them the butane. We also carry these papers in King Size. Finally, be sure to swing by either Sunflower Brooklyn store location to see what else we have to offer! 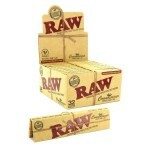 Tags: raw, Raw Black, Raw Black 1 1/4' Papers, raw rolling papers, rolling papers.